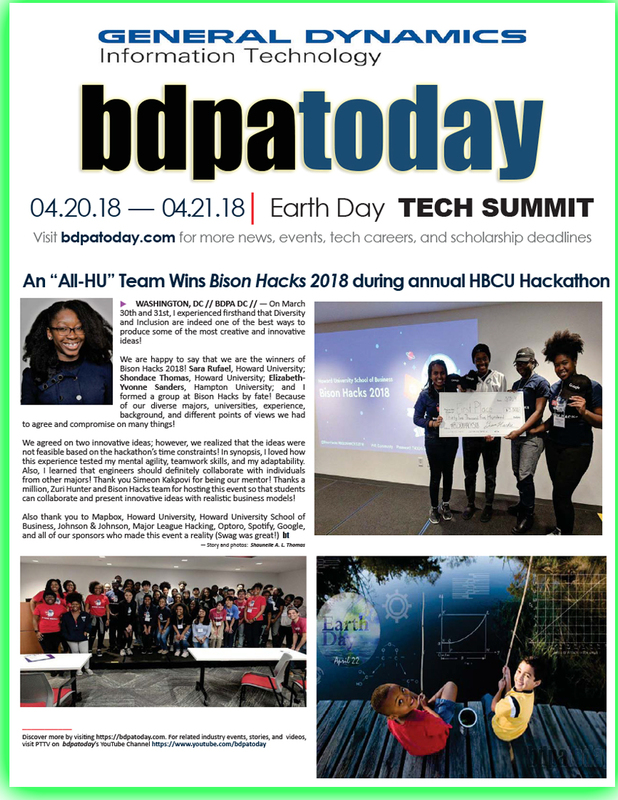 NEW ORLEANS, LA—BDPACON18, the combined global tech conference co-hosted by National BDPA, National Society of Blacks in Computing (NSBC), and the Institute for African American Mentoring in Computer Sciences (iAAMCS) adjourned this past weekend in New Orleans with national student finalists and a coding team from St. Louis, Missouri emerging as 2018’s newly crowned National High School Computer Competition (HSCC) champions. 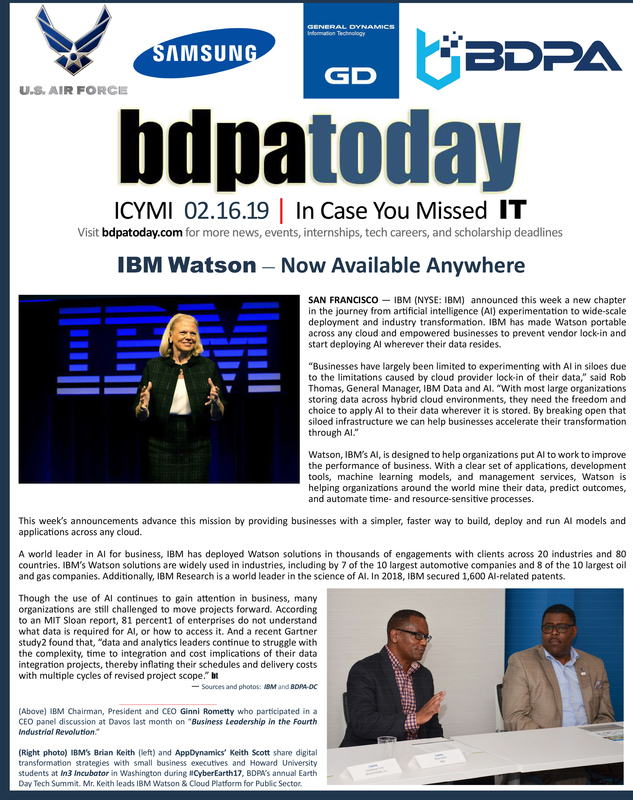 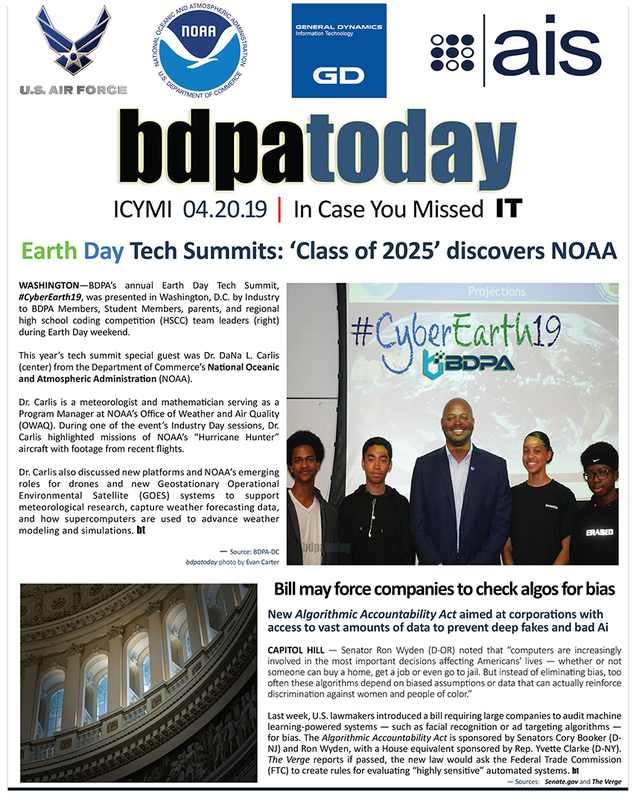 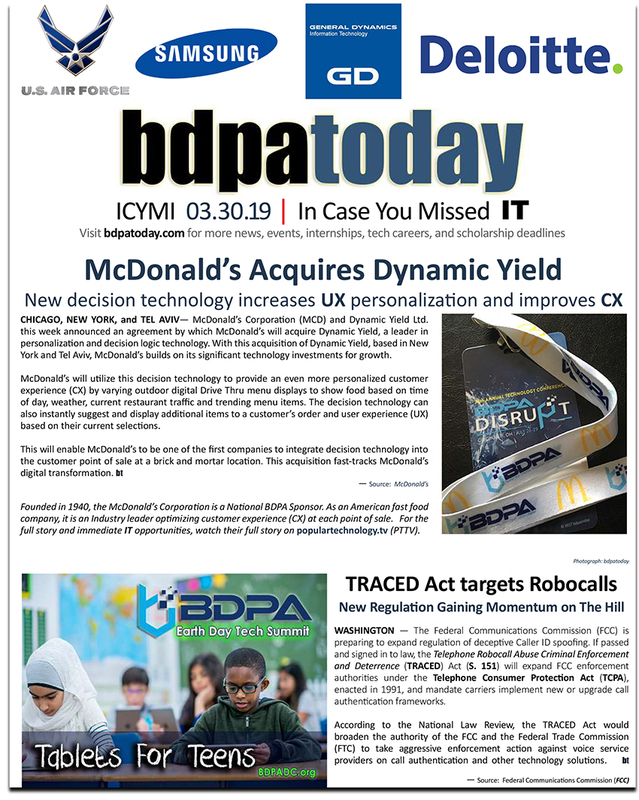 National High School Coding Competition finalists, IT Showcase finalists, and Youth Technology Camp (YTC) students who participated in BDPACON18 head back to school with their local BDPA chapters. 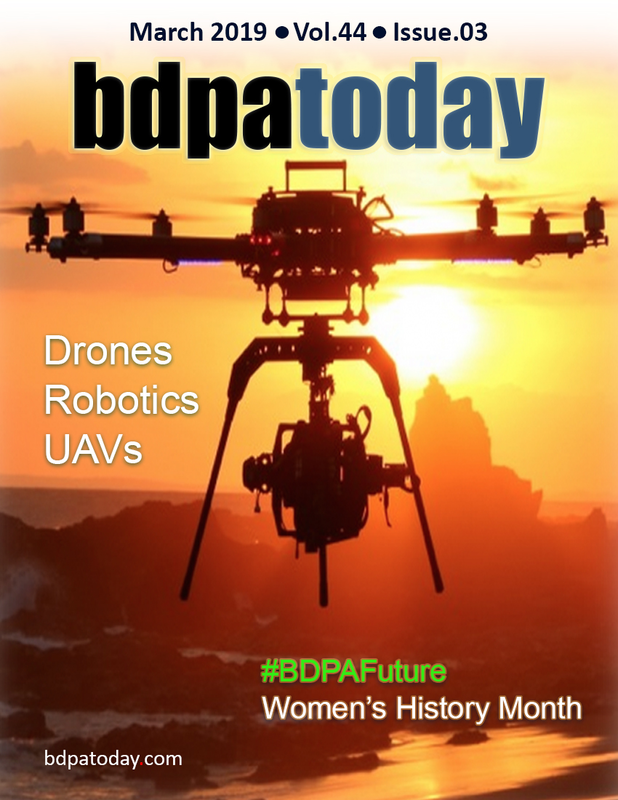 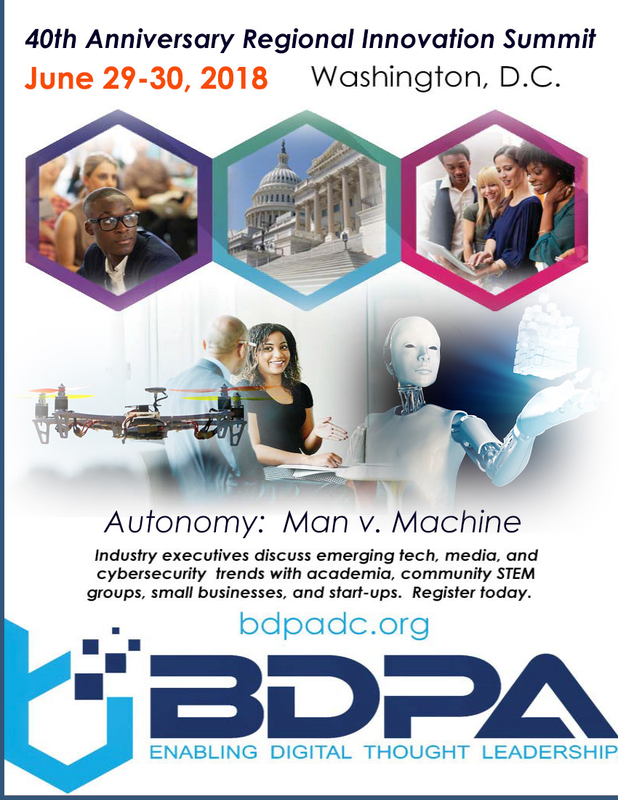 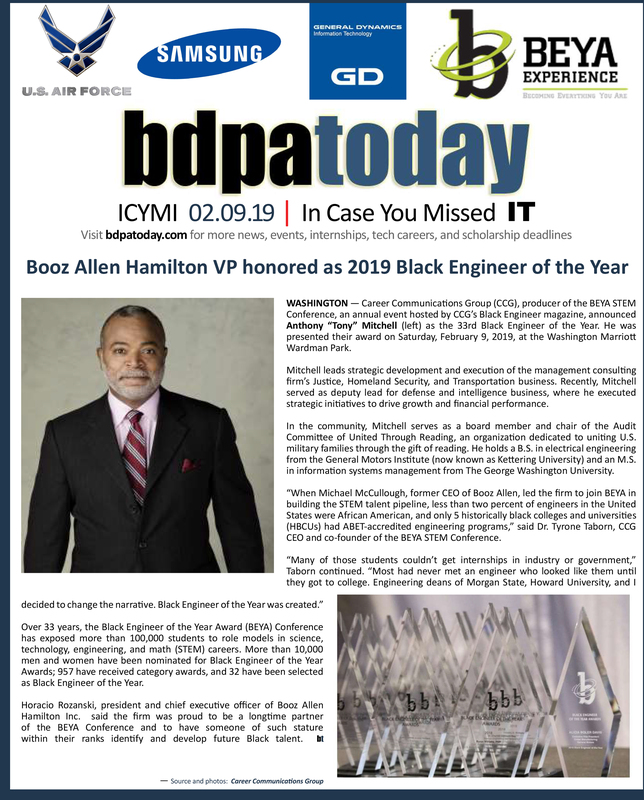 BDPA, formerly known as Black Data Processing Associates, was founded in 1975 to promote professional growth and technical development across underserved communities for those in or entering information and communications technology (ICT) oriented fields of interest and related industries. 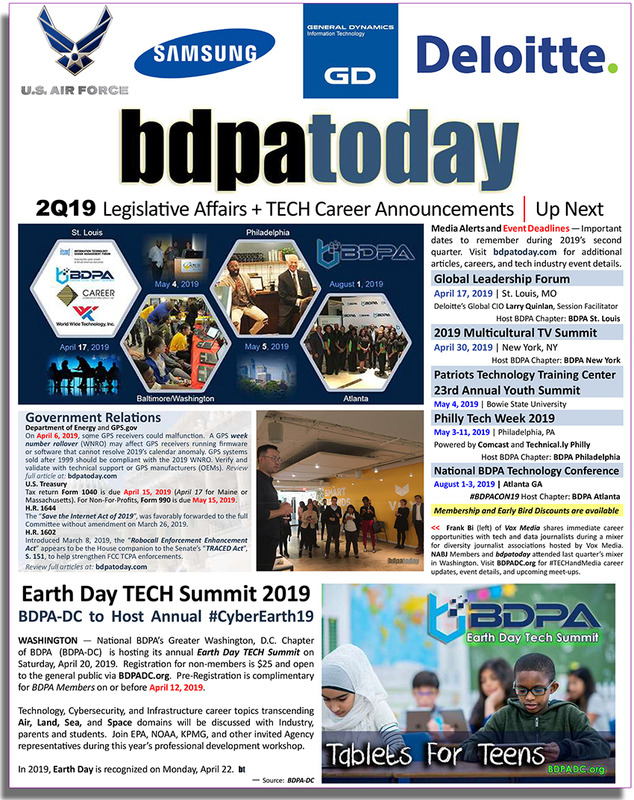 Today, National BDPA has chapters in over 40 U.S. cities with a wide variety of technical, community, and government relations outreach programs promoting workforce and economical development. 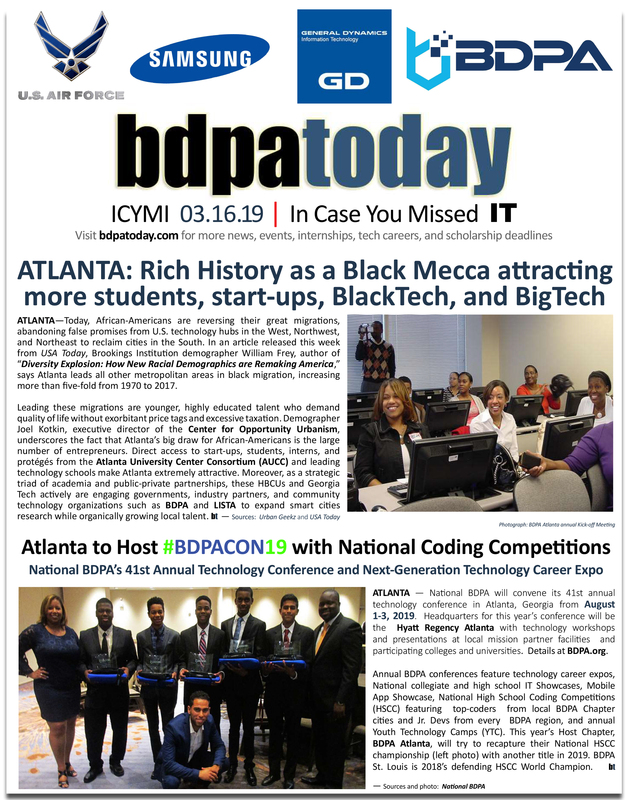 Sponsor local teams to attend BDPACON19 next year in Atlanta by visiting BDPA.org. 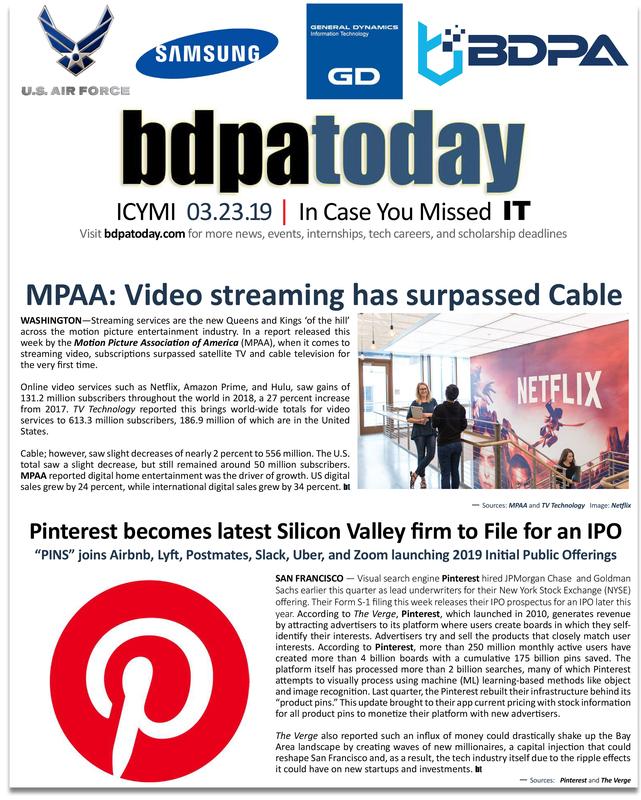 Advertise today and lock in 2018’s rates for 2019. 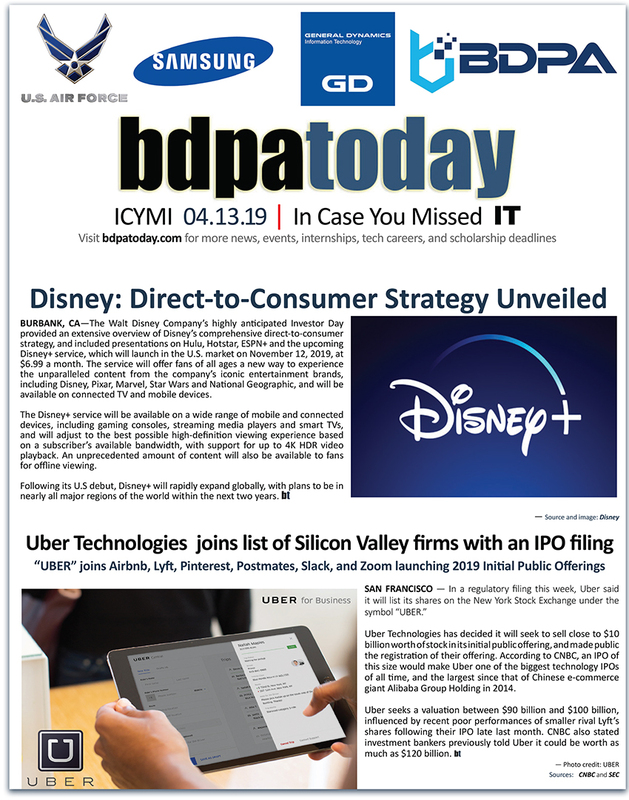 Select here for new rate schedules.